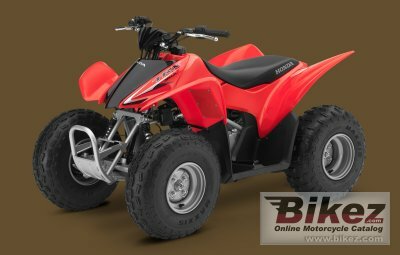 2014 Honda TRX90X. Picture credits - Honda. Submit more pictures. When your younger rider is ready to hit the trails, you want to give them the best start you can. That�s why we designed the TRX90X, an entry-level ATV that delivers ease of use and agility in one sporty package. Powered by a rugged SOHC engine, the TRX90X has the room for a beginner�s confidence to grow. Ask questions Join the 14 Honda TRX90X discussion group or the general Honda discussion group.